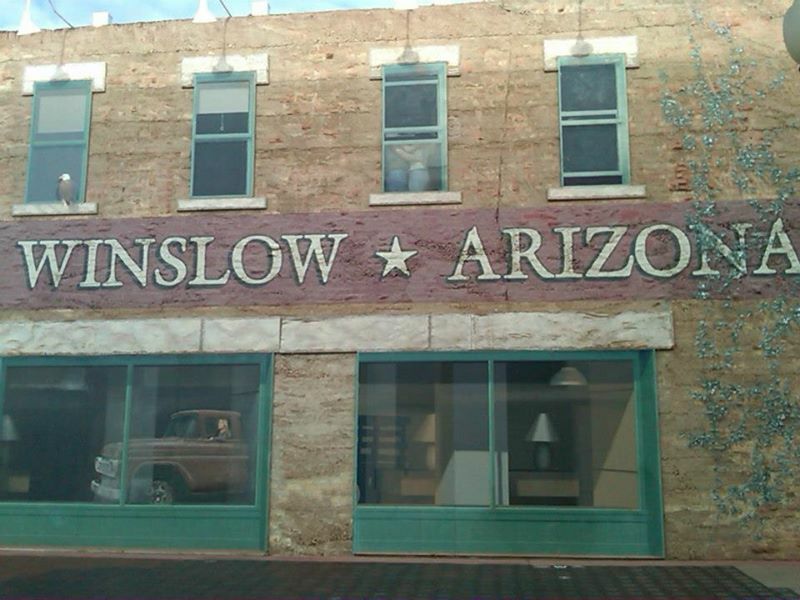 Back in 2012 I drove a former section of US Route 66 in the City of Winslow located in Navajo County, Arizona. 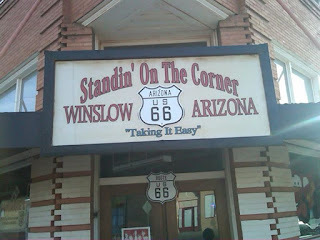 Winslow much like many of the communities in Arizona that were along US Route 66 were originally sidings of the Atlantic & Pacific Railroad. 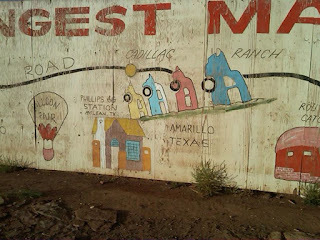 Winslow first appears on the 1882 2nd Operating Division Map of the Atlantic & Pacific Railroad. 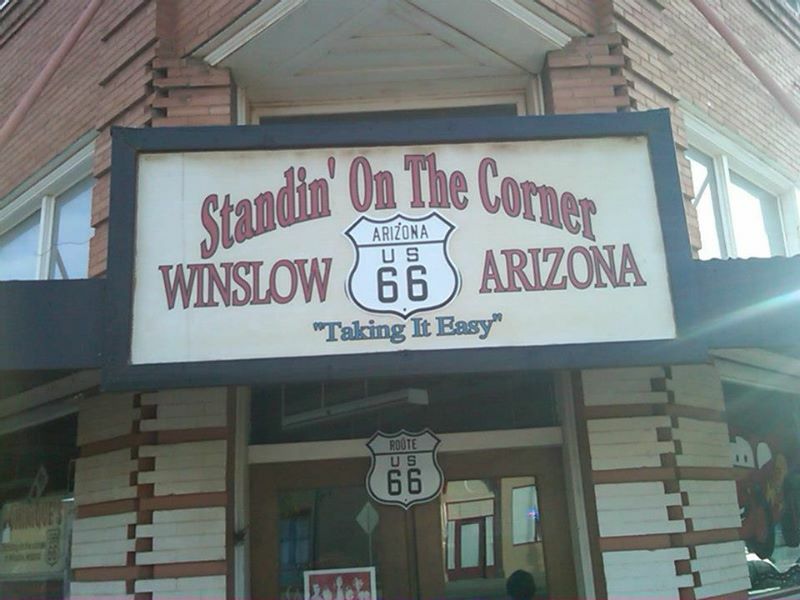 While I'm uncertain of the exact path the National Old Trails Road and early US 66 took through downtown Winslow it would have approached heading eastbound on 3rd Street. 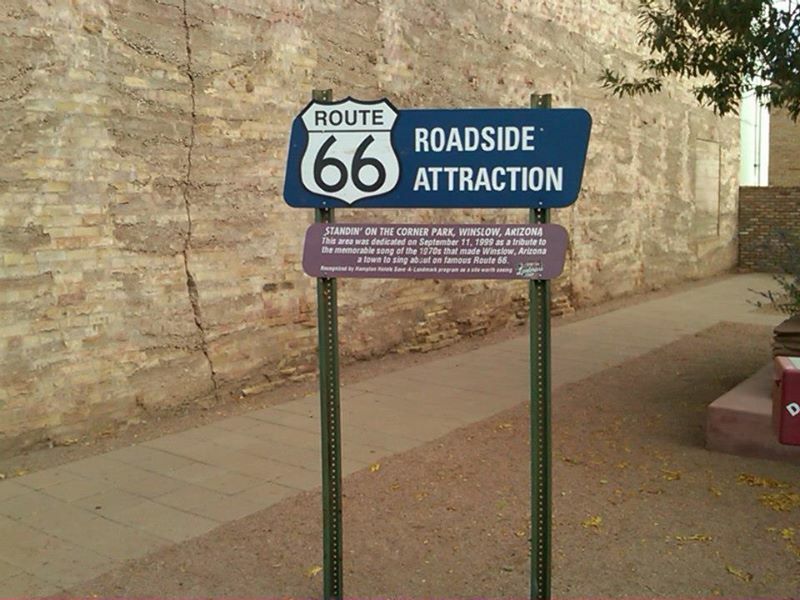 Today Arizona State Route 99 is signed along Historic US 66 on 2nd Street eastbound entering downtown Winslow. 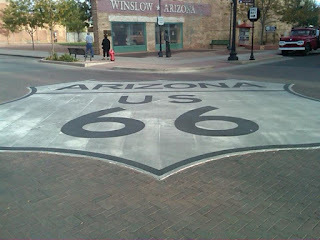 Through downtown Winslow US 66 would have split onto 2nd Street for eastbound traffic and 3rd Street for westbound. At the intersection of 3rd Street and Kinsley Avenue is Standin' on a Corner Park which easily spotted by the large US Route 66 shield painted in the intersection. 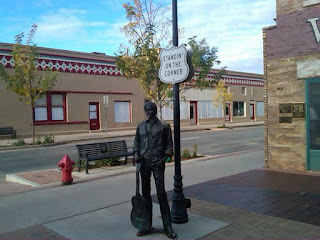 Standin' on a Corner Park essentially is just a city monument named after the 1972 Eagles song "Take it Easy." 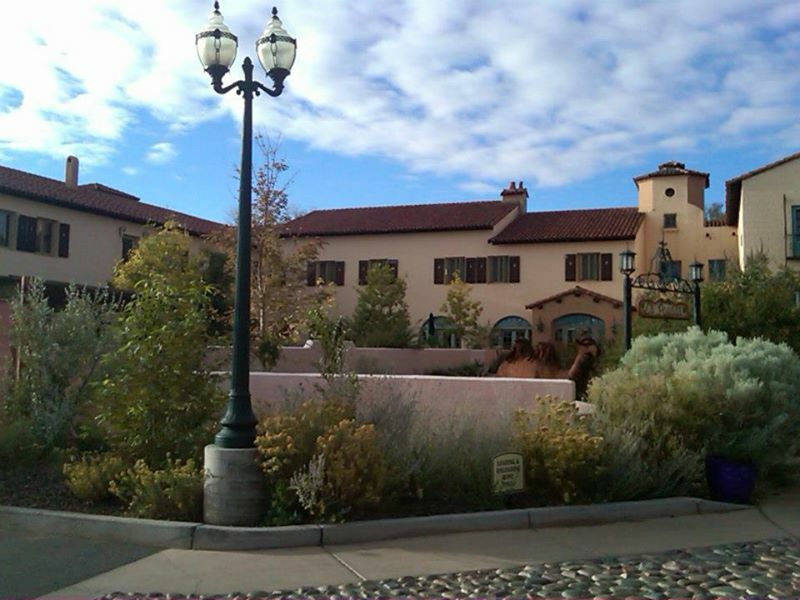 Standin' on a Corner Park essentially is just a facade but the shield looks pretty cool from an aerial view. 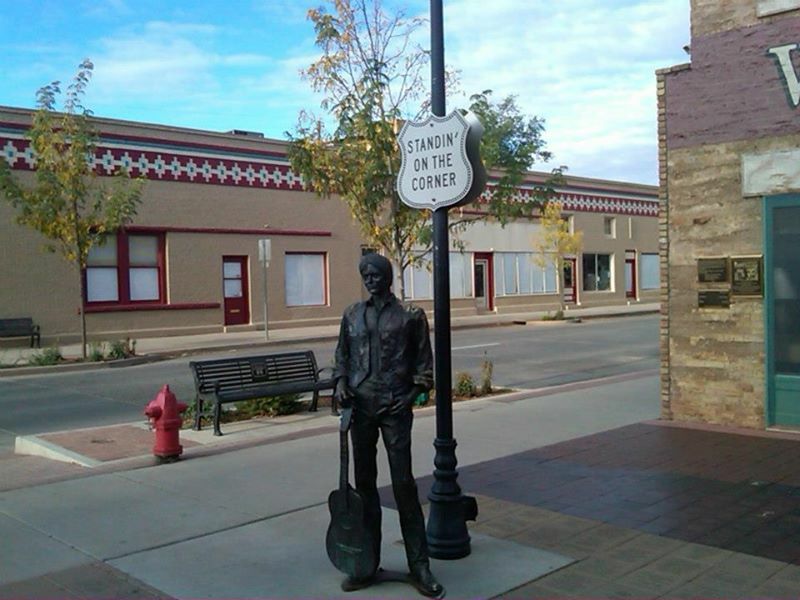 Standin' on a Corner Park opened in up in 1999. 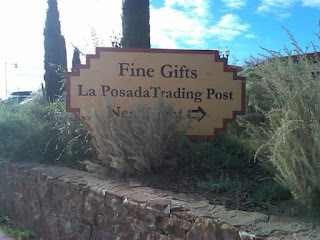 At Williamson Avenue AZ 99 and AZ 87 currently split south out of the city. 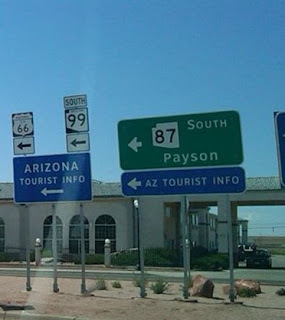 East of Williamson Avenue AZ 87 assumes the 2nd/3rd Street alignment of US Route 66 out of the City of Winslow. Along 2nd Street east of Williamson Avenue is the 1930 La Posada Hotel which is a Harvey House and serves as the current Amtrak Station for the City of Winslow. 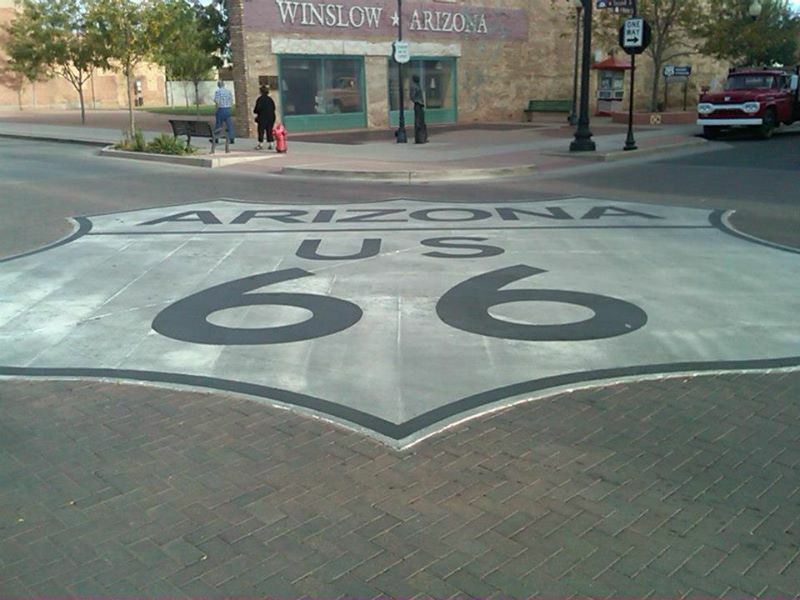 East of downtown Winslow US 66 would have merged back onto 3rd Street and crossed the Little Colorado River. 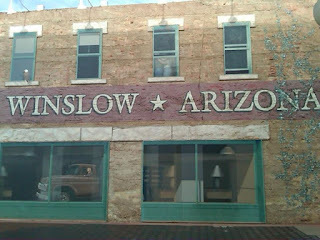 Winslow was one of the last cities in Arizona to be bypassed by I-40. Construction on the Winslow Bypass started in 1977, I'm uncertain when it was completed.